This is the summary of consumer reviews for Sassy Ring O' Links Rattle Developmental Toy. The BoolPool rating for this product is Excellent, with 4.80 stars, and the price range is $6.00-$8.00. 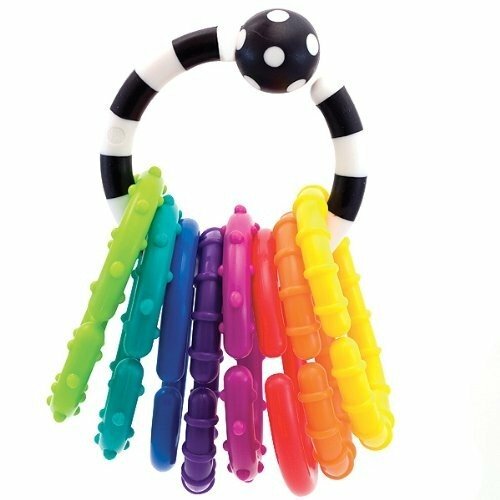 Sassy Ring O' Links Rattle Developmental Toy features a bright and bold spectrum of colors in the form of links on a Black and White ring. 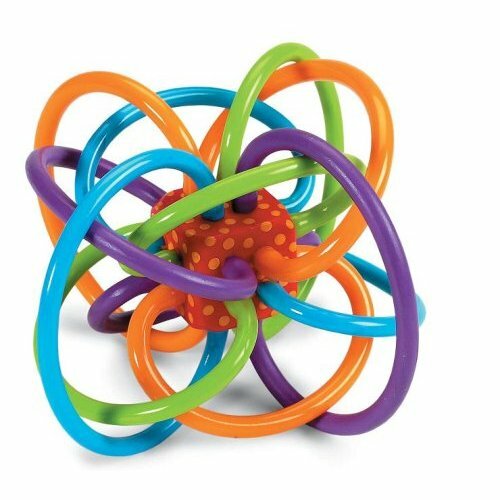 This inexpensive yet great toy inspires touch with a textural variety that fosters exploration which enhances brain activity among young infants. The Sassy Ring O’ Links is dishwasher safe. The ring is right size for small hands and it is a great toy for teething babies. These well made links provide opportunity to place toys at appropriate height and many different places like car seat, stroller etc. This toy is not too hard to hurt babies. 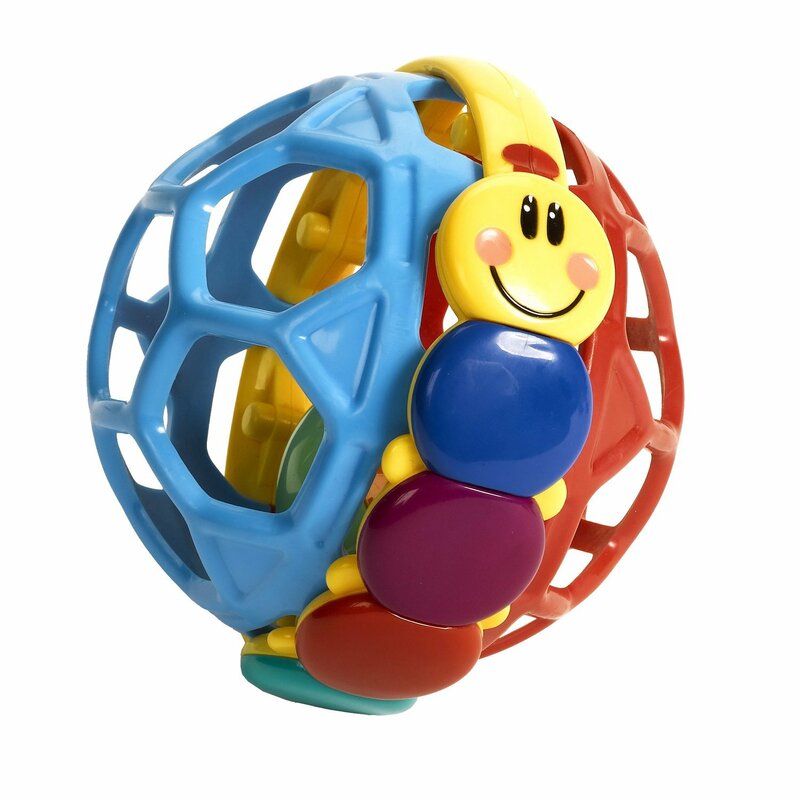 Overall, Sassy Ring O’ Links is a very simple and great toy which provides variety of textures and enhances tactile experience in young infants. 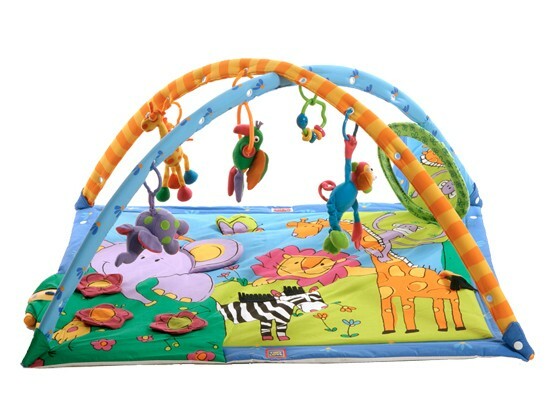 The Black and White ring and bright colored links help provide visual stimulation as baby grows. This toy meets all current toy safety standards. My son carries the black and white ring around and chews on it all the time. This's essentially a few basic links on a nicer black and white link. My son LOVES chewing on the black and white one, so much so that we've lost BOTH of them (bummer). At first I thought it wouldn't be enough links but it's! I got it because I wanted the black and white link most of all. And the black and white one has rubber texture on it, which I like. That's also my complaint, the black and white one comes loose so easily that we've lost two of them. These are bright and well made links. These are great, they're bright colors and they stiff enough to use effectively. The black and white ring with the ball on it's great and until I saw this photo I'd forgotten that it came with these links. Always loved these rattle rings, they're a perfect little toy and great for teething. It's great for teething babies. goes into the dishwasher, very colorful and keys come off easy, the ring is good for teething and my year old loves playing with it. The black and white loop is a little soft, so great for teething. my 4 month old loves these. My child loved holding it in her hand and all the vibrant colors make a great distraction. i think once she starts teething she'll enjoy them even more!. I's purchased and received many teething toys. This product is awsome the teething rings go with us every where my daughter (princess) loves them, also I can tell her the multi-colors in spanish and english. Nice bright colors, just right size for little hands. The colors on these rings are awesome they're so bright and I know baby will love the bright colors and the textures. All the bright colors and textures seem to keep him amused for ages. 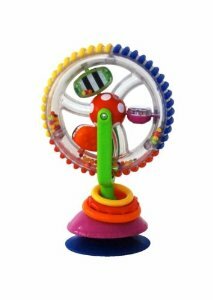 Bright colors, fun textures, useful for attaching other toys to strollers or mobiles. 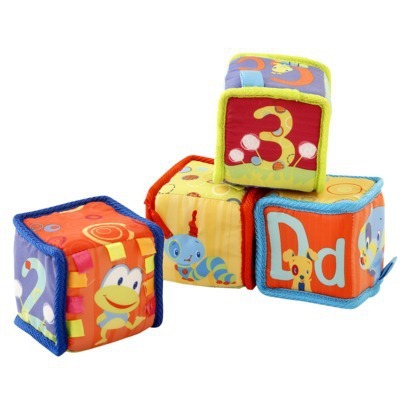 :) The bright colors and variety of textures have made these a hit for our nine month old. It's just the perfect size for him and the colors are so bright. I think the reasons why he likes it so much are: easy to grab, easy to chew on and the bright colors. THIS TOY WAS BOUGHT FOR GRANDMA TO KEEP AT HER HOUSE SO THAT ASHER WILL HAVE SOMETHING COLORFUL TO PLAY WITH THERE. 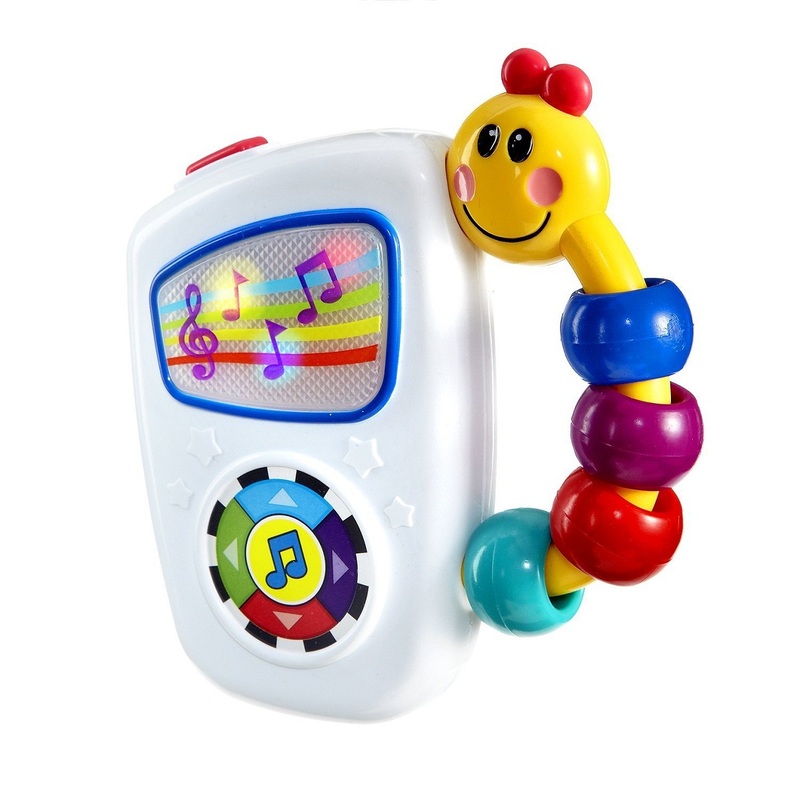 Very simple toy but just right for little hands, especially when baby starts teething. You should hear the giggles that come from our young son (6 months old) every time he gets to play with these. At a baby shower, I'd been given a plastic baby key ring set, and my 4-month old baby loves them. Many toys for babies are too hard. Not hard enough to hurt baby. Often I catch the baby playing with and teething on these instead of the toys it's supposed to hold. Many babies chew on things. Of all the toys and rattles, this's by far my 4 months old baby's favorite. Just the right size for baby hands. Many toys for babies are too big for their hands. They're great for infants because you can attach different toys to their carriers, play gyms, and jumperoos or excersaucers. Can attach other toys to it and hang it from the stroller. They're also great for toddlers because you can tether toys to their high chair (esp at a restaurant), strollers, etc. 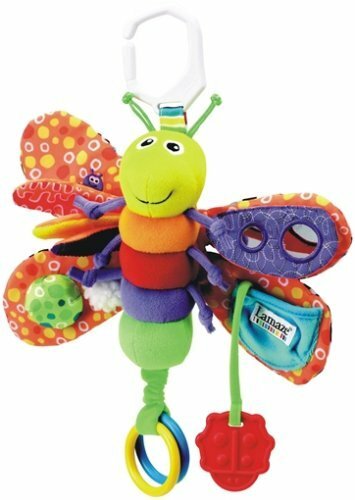 They're currently her favorite toy and they work well to help hang other toys onto her stroller or car-seat. We also use these to dangle rattles and toys from her stroller, car seat, and mobile to a length she can actually reach, and to help keep toys 'on board' . Very bright colors. It's one of her favorite toys. 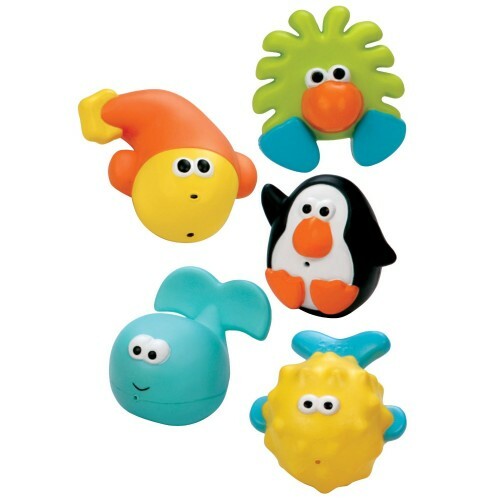 I use these on my child's carseat, stroller and in the play yard to hold many toys. I love that they can be linked together or can be used to attach other toys of his.